All of our bench seats are 300mm deep. Timber colour may vary slightly from our photos. All tables are treated with non-arsenic treatment. Please note advertised prices are for raw timber products. If you want your bench seat stained this can be added for an additional $80 per bench. Pick up is an option from Factory 6/208 Canterbury Road Bayswater North VIC 3155 Monday-Thursday 8:30am-5:00pm Friday 8:30am-3:00pm weekends by appointment or North Geelong VIC 3215 by appointment. 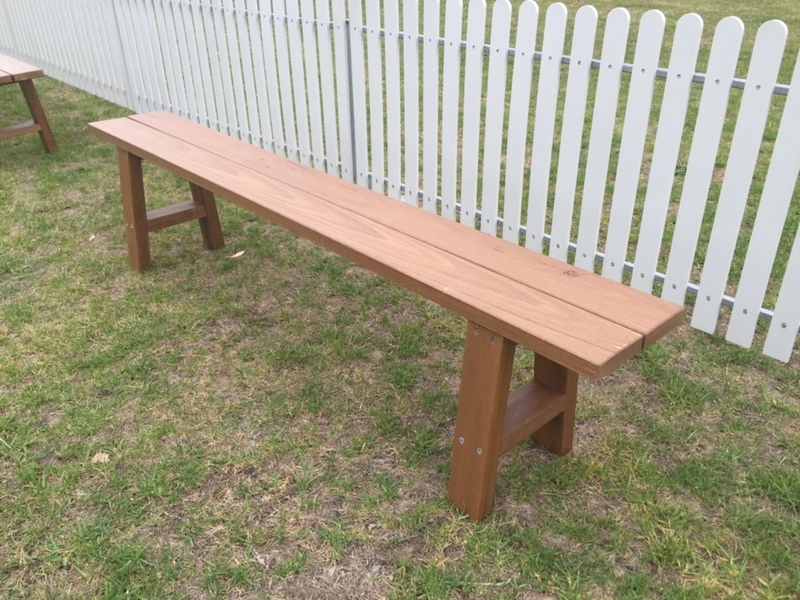 If you prefer to have your benches delivered please send us an enquiry below with your delivery suburb for a quote.